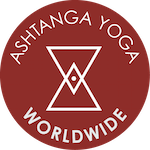 Ashtanga Yoga Worldwide is located at 1515B E. Las Olas Blvd., Fort Lauderdale, Fl. Out of town students with an established practice are welcome to attend our Mysore style classes. Please email us with your preferred practice time. If you have experience with the primary series, you can attend our led classes. South Florida is a great location for students seeking a yoga holiday. Those wishing to plan a longer visit are encouraged to contact us with any questions. Airfares and accommodations tend to be more budget friendly during this time of the year because of low season. If you are driving, it is exit 27 for FL-842/Broward Blvd toward Downtown. Previous visitors have stayed at The Riverside Hotel . It is a convenient 15 minute walk to our classes, and it is on Las Olas Blvd, where the restaurants and shops are. Spend a nice morning on the beach after you finish your practice. Fort Lauderdale Beach is beautiful and there are quiet areas for a contemplative time and busy areas for sensory stimulation. One of our students owns Spa Juice Bar. A delicious and innovative juice bar on Las Olas Blvd. They also have raw food. Marando Farms brings you fresh produce, an extensive nursery, and an organic, locally grown and pesticide free farm. Conveniently located in the heart of Fort Lauderdale. Discover South Florida tropical nature. Bike on the Shark Valley Loop Rd. Bike on the Everglades, and spot alligators, turtles, fish, and all sorts of birds. The trail is 15 miles (24kms) long. No hills. You can rent the bikes there. The trail is located around one hour drive away from our classes. Visit the South Florida Hindu Temple. Sit in silence or attend their daily puja or arti. The temple is located 18 miles (30 kms) away from our classes. Visit Las Olas Boulevard, where the boutiques, shops, and restaurants are. Wilton Manors is Fort Lauderdale’s gayborhood, check out the shops on Wilton Drive and take a trip to the gay friendly Sebastian Beach. Read. We could recommend a list of yogic texts to study on rainy afternoons. Experience the city by boat. There are miles of beautiful boating canals all over the city of Fort Lauderdale. Take a Water Taxi around town. Uber is available in Fort Lauderdale.